Welcome from Iowa's own Dog Whisperer . . . Des Moines, IA 2019 | Canine Training<p>by Mystic Moon, Inc. I am Tonja Osborn, with my husband Chuck Osborn. The very first time we meet your dog, you’ll see a huge positive change in your dog’s attitude. You’ll leave our Class with a smile on your face; and, your dog's tail wagging. This is the most fun you can have with your dog, and still consider it productive dog training. Through positive reinforcement, we’ll show you how to create a happy, balanced dog, that’s a joy to be with at home, and out in public. 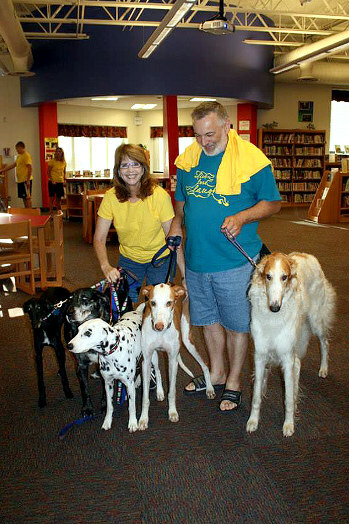 And, we’ll teach you how fun, and easy, dog training can be. Whether you need puppy training, or have an adult dog that needs an obedience refresher, it should be mutually rewarding for your team. 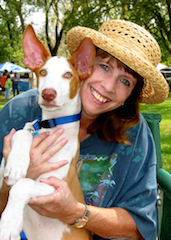 At Canine Training by Mystic Moon, Inc. we offer a wealth of knowledge on dog behavior. We have 56 years worth of combined experience. We have educated ourselves from the best world level, training professionals. Frustrated By Your Dog's Behavior? aggression towards children, adults, and other animals. Here's a sweet deal for you! I'll train your dog. You're gone for Spring Break? Business Trip? Vacation? Don't have time? Board & Train - 2 weeks Bachelor's Degree $1,000 appox. 4 weeks Ph.D Degree $1,900 approx.